We may not be quite experiencing a heat wave yet, but there is sure to be hot weather coming. Anyone caring for livestock needs to be prepared for high temperatures. OMAFRA has produced a free Heat Stress in Livestock and Poultry app for smartphones that can help determine when livestock are at risk of heat stress on the spot, either in the barn or at time of transport. By entering the current temperature and relative humidity on your smartphone you can estimate heat stress risks quickly and easily. The app also suggests steps to take to reduce heat stress to maintain feed intake and productivity. The app is useful in assessing a whether a crisis is imminent, but routine maintenance can help avoid risk too. This would be a good time to clean fans, check that louvers and inlets are moving freely, and clean up the sensors and controllers. Ventilation systems need to be working at maximum efficiency and need to be tuned properly to maintain temperature and humidity at acceptable levels. A ventilation system failure can be catastrophic. Even alarm systems can fail so constant vigilance is required when things get hot. When it it does get really hot outside, ventilation alone can’t provide adequate cooling. When pigs are too hot, they don’t eat. Pigs that don’t eat don’t grow. This is most apparent in heavier pigs nearing market, when the upper preferred temperature of the pig is only around 21C. There are a few things that can be done to help keep pigs from overheating. Pigs need to lose heat either by contact with a cold surface, or through evaporation of water from their body surface. Since they don’t sweat, that moisture must come from somewhere else. Water sprinklers or drip systems are effective ways of providing relief from heat stress. 1-2 minutes of sprinkling every 20-30 minutes is all that is needed. Time it so that the water is nearly all evaporated before reaching the floor, and so that the ventilation system has time to clear the humidity before the next application. Adequate drinking water is absolutely critical. Make sure there are enough drinkers for your animals. Go get wet and cool off yourself by thoroughly inspecting every drinker in your barn. 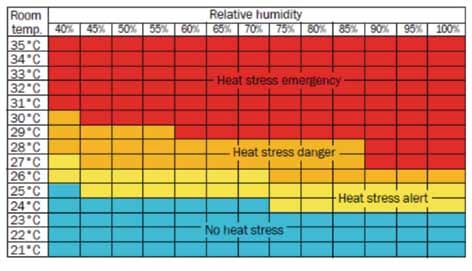 If you can’t make use of the Heat Stress app, this table can be used instead. The intersection of current temperature and humidity indicates the level of stress pigs may be facing, and the level of response that needs to be taken to reduce it (see below for some more options). nutrient needs (amount/day) are still being met. (static pressure barns). Check panic doors/drop curtain releases for natural ventilated barns. Heat build-up non-ventilated barns can cause fatalities in all seasons. Three producers describing their experiences transitioning to group sow housing systems. Hear their challenges and opportunities and gain practical advice you can apply on your farm. Registration is limited to 45 producers each day. at 519 482-3333 or sandra.mccann@ontario.ca. For more information visit the OMAF booth in the Agriplex at Pork Congress. 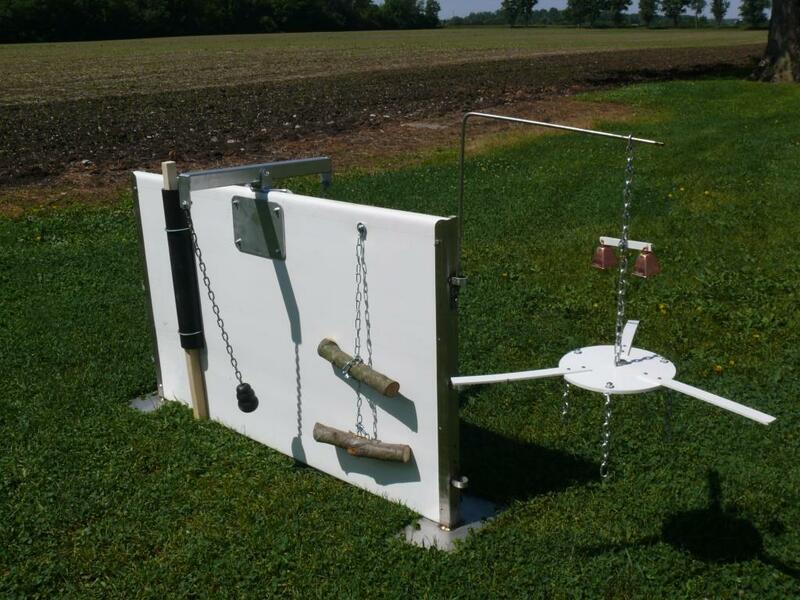 Visit the OMAF/MRA exhibit at the OPC for information about environmental enrichment for pigs, the Ontario Grading Data Explorer computer program, hog marketing, and more. Materials and objects suitable for chewing and rooting are often called enrichment toys. Why do pigs need enrichment toys? All pigs have a need to chew and root. By providing en-richment toys this need is satisfied and tail and ear biting may be reduced. How many toys do I need? Too few toys will result in competition. Have enough toys in different locations so that as many pigs as possible can easily use them at the same time. Yes, you can make your own enrichment toys. Pick up our flyer with links to websites that provide instructions and information on enrichment toys. 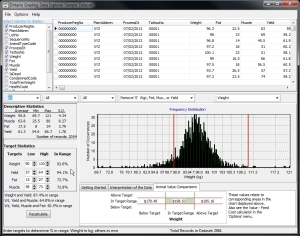 Easy access to online grading data to help in decision making and in hitting production targets to improve revenue. Ask to arrange for a demonstration, or pick up a brochure for more information. Take on the Hog Marketing Challenge. It is meant to be a learning experience on paper with no money or pigs involved but using real time market information. Put your market knowledge and expertise to work and learn how some marketing tools function. Enrichment toys for pigs satisfy the pigs need to chew and root. By providing enrichment toys this need is satisfied and tail and ear biting may be reduced. Visit the Ontario Ministry of Agriculture and Food booth (A3/A4 in the Agriplex) at the Ontario Pork Congress for more information and a demonstration.